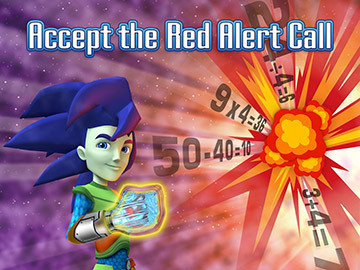 The Math Blaster that you know and love is now on the go! Math Blaster has moved from the Computer Lab to your mobile device, and made some serious changes along the way. Math Blaster has evolved into a full world where you can compete alongside friends and rivals for high scores and trophies. 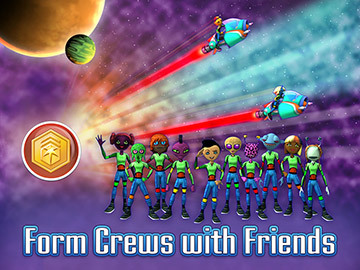 Crews: Invite friends to join you in Math Blaster and together you can unite to become the Heroes of the Universe. Red Alert: The Space Station is under attack! 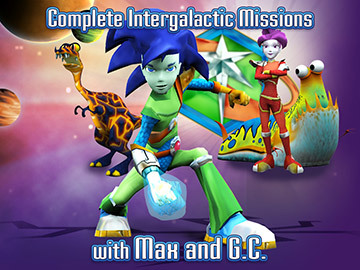 Listen for the Commander’s call and head to the nearest portal to protect the Space Station from flying space debris. 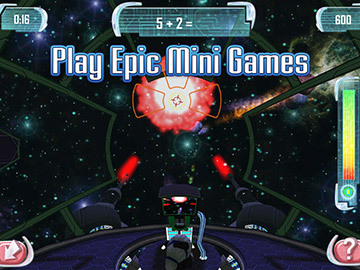 Play with Friends: Challenge others to beat your high score in games like the ultra-popular HyperBlast (now it's own mobile app! ), Space Zapper, BForce Blaster and more. Progressive Learning: With math subjects of varying difficulty, Math Blaster is perfect for beginning math learners or returning Blasters who want to better their math skills. 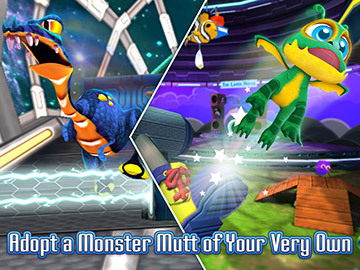 Math Blaster is free to play, but contains in-app purchases for additional items such as power-ups that grant you extra lives and help you in the game. You may lock out the ability to purchase the upgrade by disabling in-app purchases through your device's settings. Registration information is optional (children under 13 require parent registration). You will be able to be notified of game updates and new features along with integration to the online virtual world MathBlaster.com.